Hi, and big respect for yall. Have found this forum as a guest very helpful. I have been arbing welcome bonuses and doing pretty well past two months. Have been careful what to bet and etc. Tried to learn the lessons before making mistakes. - Still slowly I see my accounts getting limited. Betcity and MarathonBet have a gone long time ago. Now latest one is Betsson group after last winning bets limited bets to 5-50e area. Betway still up, bet365, Unibet and all the others too. There is still plenty of bookies left to do but wanna get in the circles, before its too late. I have used/tried 4 different programs + oddsportal and my own research. So I would appreciate by private message real talk how do people continue. Do they just go through all the relatives and friends rinse and repeat or? - yes, there is Betfair exchange, Matchbook, Pinnacle, SBObet etc, but how do you guys use softs or do you and which brokerage to recommend etc for high rolls and cashback. Thanks for the one who dares to answer seriously. Hey, prepare for a fierce discussion. Have no doubt that all bookmakers will in the end limit your actions. You can postpone this from happening if you switch to live arbitrage instead of pre-game. Depending on the country you come from you can might have 40-50 bookmakers to try before all of them limit you to peanuts. I m talking about real and reliable bookmakers only. When this happens you have 3 ways to continue. A real trilemma. 1st. You continue with friends and relatives as you already implied. This is the easiest way used from inexperienced players mainly. 2nd. You continue with automations. Trading, arbing, value betting bots. 3rd. You take advantage of local possibilities i.e sharbing. I took the 2nd choice from the very start and I m happy I did so. I understand this is not the easiest way. Of course you might have a rabbit in your hat by I m no magician. 2nd. You continue with automations. What does it mean? Can you develop a little bit further?? 2nd. You continue with automations. Trading, arbing, value betting bots. - with restricted accounts? When this happens you have 3 ways to continue. A real trilemma. 4th: You retire and open a real business such as restaurant, recycling factory. Hey Yngwie/Sawyer i 've always considered you a legend in this business , did you really retired ? Not yet but planning soon. I like to spend more time with family and friends. Maybe I don't quit arbing completely, just reduce the tempo little bit. I had made some investments with arbitrage profits over years, I'm thinking about focusing more on these investments and business. My advice is, arbitrage is a profitable business but it doesn't mean you should run this business forever. After some time, you want to make some real business. This way, you can make more contribution to society. A (big) number of arbers are jumping to the many forms of real estate after quitting arbing. Most of them looking for a passive income so they have plenty of time for themselves and their family. It is a big issue to understand when is the right time to quit. One of the biggest mistakes that arbers do is quit too early and then return back after 2-3 years of inactivity. It is very difficult to jump in the train again as smart gambling evolves constantly. Arbing and smart gambling is a real business really and many arbers are contributing to the societies and communities in which they live and work. As for the sustainability of these business, I remember discussing the end of arbing back in 2005. We are still here. This is literally the best advice in this forum. Everyone should focus on that. Look for alternatives, don´t be afraid to try new things but always be carefull, be smart....don´t force it so you don´t get scamed. For me arbitrage is a life theory. There is everywhere and always changes forms. 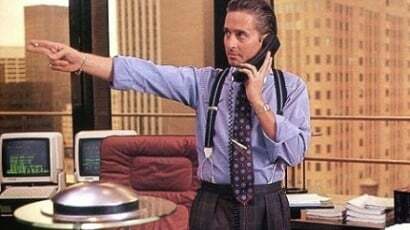 Arbitrage is a way of capitalism to say to you: "i need your capital here". Will never be eliminated, it will just be less profitable in some areas and more in others. Also, it is a great way to keep tracking of trends. Arbitrage will always be the first wave of a trend. Merry Christmas to every one! How so? Aren't many businesses leaches on society? They don't provide much of use and most people spend money they can't afford on it. Arbing at least makes it harder for some such businesses (bookmakers) to exist. How do you continue to arb after limits? There's more then 1000 bookmakers in the world. When your limits are collared in one bookmaker, move to other!